The 8010 Series double hung window is the other half of the One-Two punch that MGM has on the high end of the window market. This window has a 180 brickmould on it and looks exactly like a traditional shop-built wood window. Along with it's sister the 8017 Series, and with exterior colors now available, MGM has a product line that gives you all the features of clad-wood and clad-vinyl windows. Actually we have more to offer because our windows are positioned to meet today's higher energy standards. Take a look at the 8010 Series, you won't find a better window. 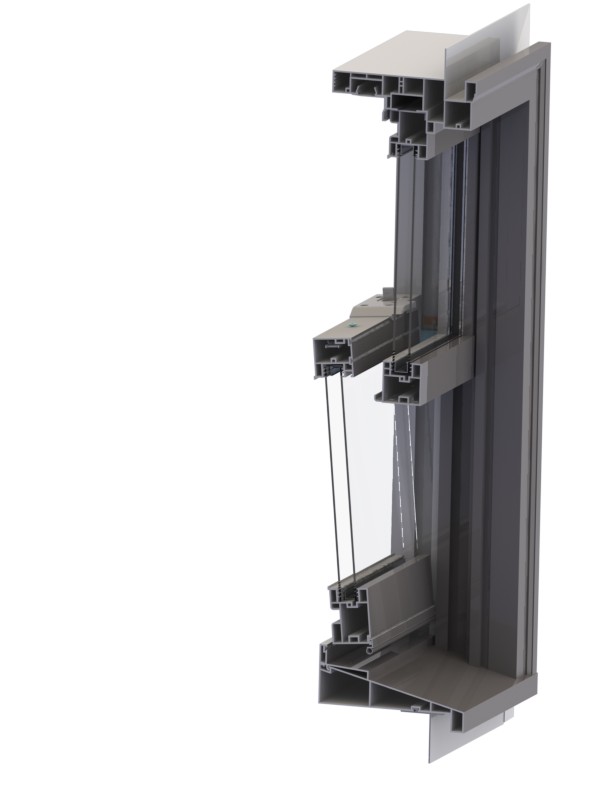 To get a PDF file with Specifications of the 8010 Double Hung. The following video shows you how to install the replaceable sill tower on MGM premium windows. This feature is unique to MGM's product line. After selling windows for over 20 years, we know that the sill tower is one of the items that gets damaged in the construction phase of building a house. It is not unusual to see windows damaged because of drywall being passed through the window, or workers slamming the lower sash on a drop cord, or just stepping on the sill and mashing it. At MGM we build value into the product and the replaceable sill tower is just another example of added value. Click to open and/or download.